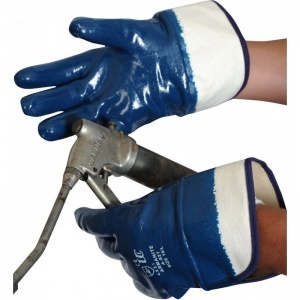 The Armanite Heavyweight Nitrile Coated Gloves With Safety Cuff A827 are heavy weight gloves with high quality Nitrile coating on a jersey cotton lining and a canvas safety cuff for added wrist protection. The Armanite Heavy Weight Nitrile Coated Gloves With Safety Cuff A827 offer excellent resistance to cuts and abrasion with good resistance to oils and greases. 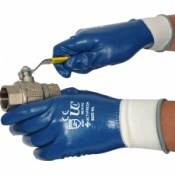 The Sanitized hygiene function brings increased freshness for the Armanite Heavy Weight Nitrile Coated Gloves With Safety Cuff A827 as well as comfort and protection over prolonged periods of use. 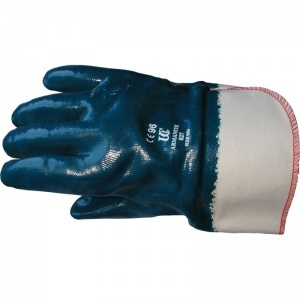 The product code for these gloves is A827. They are also available for purchase in case quantity. Just discovered these gloves, as a dairy farmer my hands are dealing with manure, chemicals, silage, oil, milk, soil, cement, et cetera. 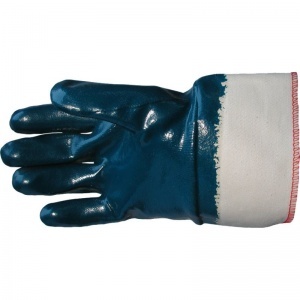 Let me tell you my hands are as smooth as a masseuse all thanks to the protective qualities of the Armanite gloves. 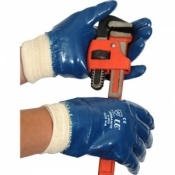 They're also warm and easy to get off even if your hands are damp not to mention that they are cheap and hard wearing.